Portland has a population of around 600,000 people, yet their food truck scene has made the national foodie blogs and travel sites. But there is more to Portland, also called City of Roses and Stumptown, and home to the largest wilderness park, Forest Park, within the city limits. Seattle even takes credit from Portland for Paul Revere and the Raiders, as well as The Kingsmen of “Louie, Louie” fame. Of course, there have been a few other famous Portlanders. These include Gus Van Sant, Sally Struthers, Kurt Cobain, Courtney Love, Beverly Cleary, James Beard, Richard Diebenkorn, Phil Knight, Linus Pauling, Peter Jacobsen, and Clark Gable. But there must be more to Portland than food trucks, pale ale, roses, and rain. Portland straddles the Willamette River, which runs mostly north through the city center. The Willamette joins the Columbia River about ten miles north of the city. The Columbia forms a natural border between Oregon and Washington. On average, Portland gets over 36 inches of annual rainfall. I have also been there numerous times when it snows. Summer heat waves can reach 90 degrees F due to its distance from the Pacific Ocean, about 70 miles. Though most of you have heard of nearby Mt. St. Helens erupting, there are actually four extinct volcanoes within the city limits of Portland. 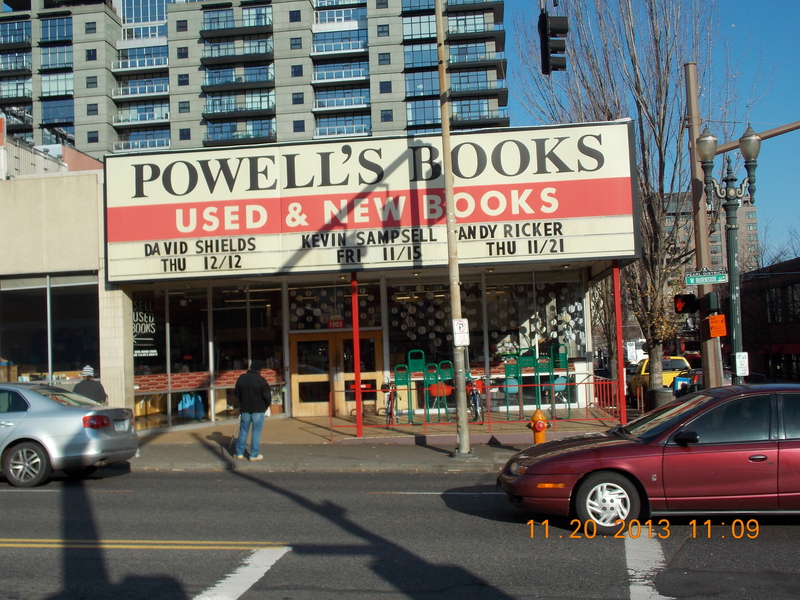 Another significant landmark is Powell’s City of Books. It claims to be the largest independent new and used book store in the U.S. For starters, it is open 365 days a year. It was founded in 1971 in a derelict building that formerly housed a car dealership. I am guessing Edsel? Perhaps one of his keys to success was to mingle both new and used, as well as hardcover and paperback books. This made it easier for readers to find all of the works by their favorite author. 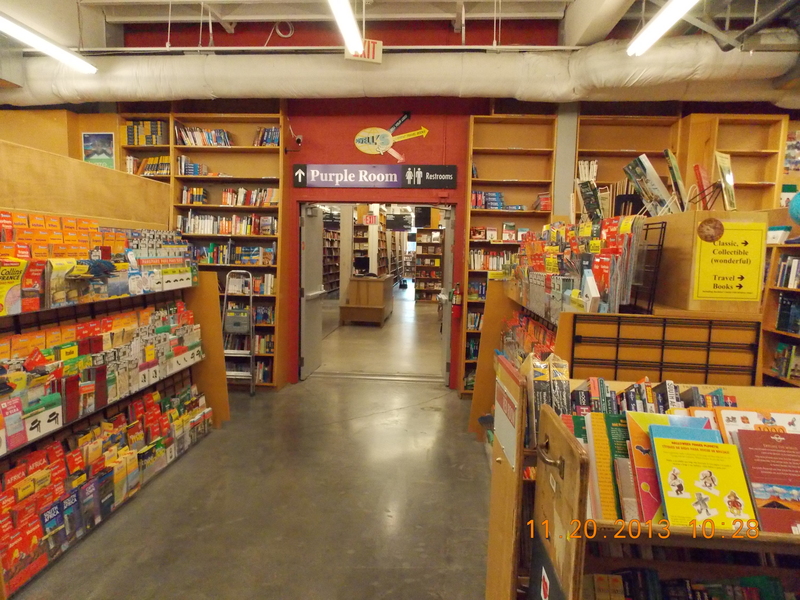 Powell’s have 1.5 million books, covering 68,000 square feet, in nine rooms, on three floors. The biggest festival for Portland runs in the summer, the Oregon Brewers Festival . The famous Portland Rose Festival takes place in June. The rest of the time, it either rains or shines. But most importantly, and for purposes of this trip, Portland has over sixty, SIXTY, breweries, more than any city in the entire world. For this reason, Portland has been accused of having the best happy hour. The McMenamin Brothers alone, have over thirty brewpubs . Some experts even call Portland the beer capital of the world, though I am sure Munich, Germany would argue the point, especially during Oktoberfest. 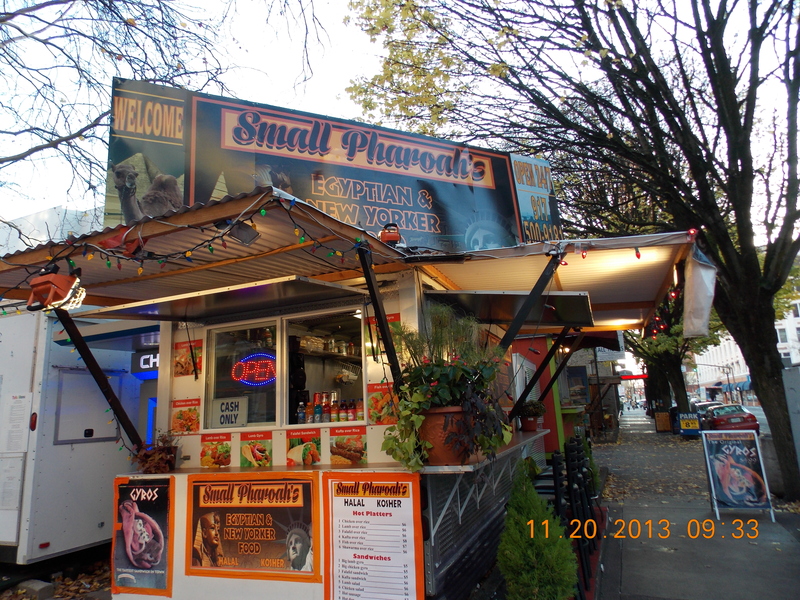 Close behind are the food trucks, restaurants and cafes of Portland. It has been ranked as high as #5 by the travel experts at Travel and Leisure. The city also has over 600 licensed food carts. And the coffee scene is vibrant as well, though perhaps not to the level of Seattle or San Francisco. One big advantage to Portland shopping is the total absence of sales tax. This can amount to quite a savings, compared to places like California, Vancouver, and even Nevada. I also plan to take the MAX transit from the Portland Airport to downtown. Who needs a rental car when you can walk to 600 food carts?